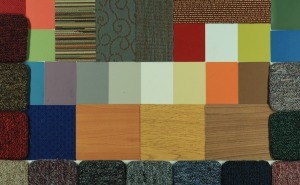 You are browsing the Blog for Color Perception. The connection between our emotions and how we see the world is more than just metaphor, one study found. 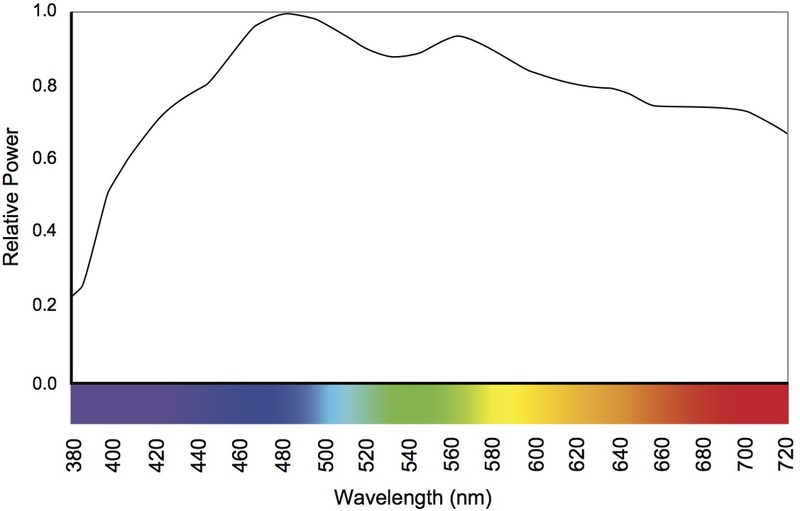 Now that the IES has approved TM-30-15 IES Method for Evaluating Light Source Color Rendition they have begun their outreach and education on this significant metric. To that end, they have joined the DOE in presenting a webinar on September 15. The webinar will be hosted by Michael Royer of PNNL and Kevin Houser of Penn State University, two of the leaders of the committee that developed TM-30. Click here to register. 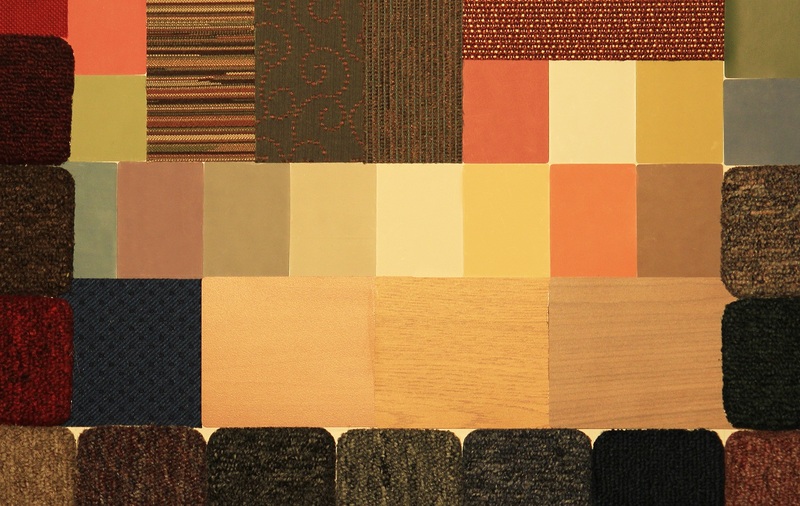 NPR’s All Things Considered had a brief piece about light and color on Monday. The main thrust of the story was that color is not inherent in an object, but is perceived and interpreted by our brain, but there’s much more to revealing and perceiving the color of objects. Here’s a quick overview. To begin, all objects have light reflecting properties. Objects that we identify as red reflect most of the red light that falls on them and absorb the other colors. Likewise for objects that appear to be green, blue, etc. Objects that appear to be white reflect the colors of light more or less equally, while objects that appear to be black absorb most of the light that falls on them. Objects only reflect light, they don’t create it, so if we use blue light to illuminate an object that reflects red light we find that no light is reflected and the object appears to be black. As I explain in Chapter 8, we change the balance of the colors in white light every time we change the light source. Even with a single light technology, such as fluorescent, we change the balance of colors when we change from cool white to warm white. 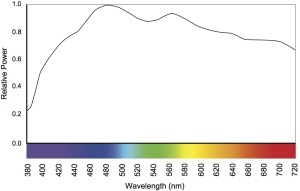 The color content of a light source can be measured (it’s called the spectral power distribution or SPD) and graphed as shown below. When we change the SPD we change the colors of light that are available for reflection by objects, which means that we also change the balance of light that is reflected and thus the color information that our eyes receive. The result is that changing the light may change the color appearance, or the apparent color, of an object. Many of us have had the experience of buying clothing or paint that was one color in the store and another color at home. Here we see this phenomenon with a color/materials board illuminated by several light sources. 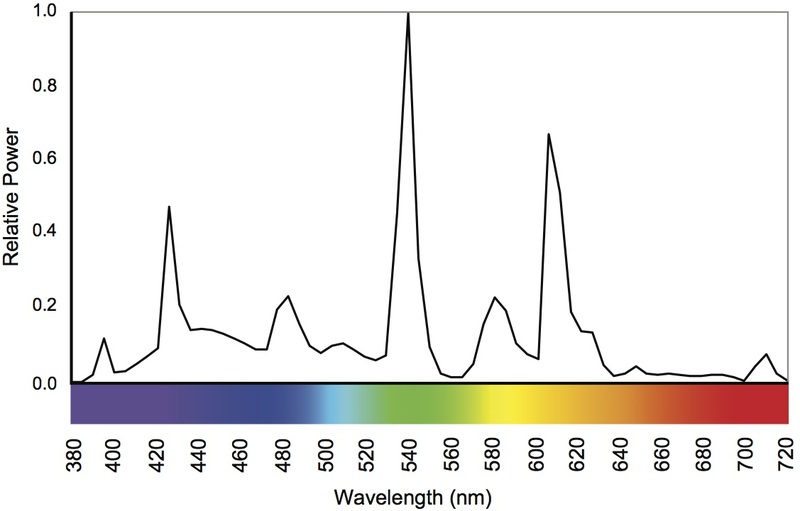 How well a light source enables us to perceive colors is called color rendering. 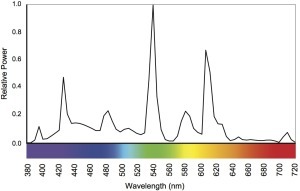 Color and brightness perception are both relative not absolute. A candle in an otherwise dark room may seem too bright to look at directly, while its brightness on a sunny day seems insignificant. In addition to the effect of SPD on our color perception, colors are perceived in relation to one another, especially between foreground and background as shown below. 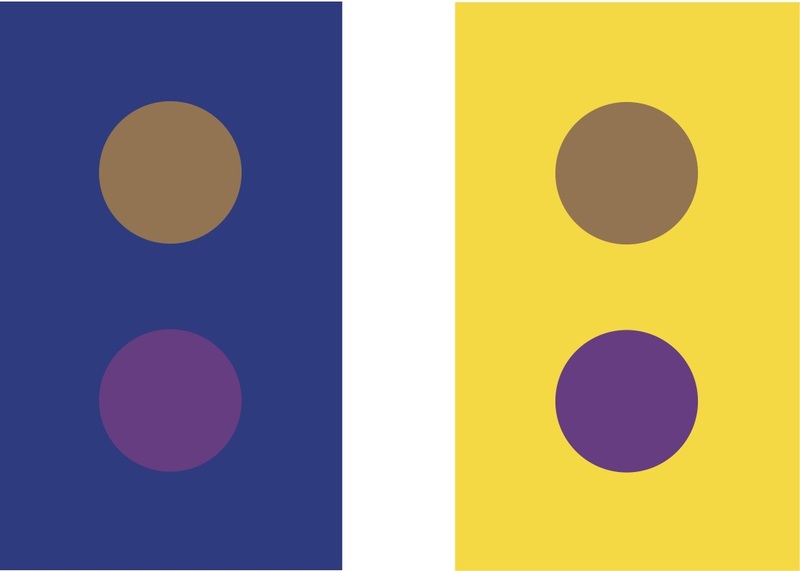 The color of the dots is the same in both figures. The strong background colors affect perception of foreground colors. 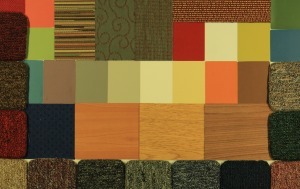 If I can demonstrate shifting our color perception why don’t we experience it in everyday life? Why are my blue jeans blue and my red car red in nearly every lighting situation? The answer is color constancy or chromatic adaptation. It does us no good to spend time and energy struggling to figure out colors. We want to be able to tell if a piece of fruit is ripe regardless of the lighting conditions. Color constancy is our brain’s use of information gathered from the entire visual field to understand the lighting conditions and calibrate our color perception so that color shifts are minimized.